Americana® Premium™ acrylics provide a medium-bodied formula for the hobbyist-artist at an affordable price point. 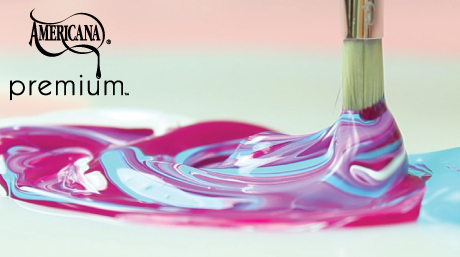 Its satin-sheen formula was created to work well on canvas, and other artistic surfaces. 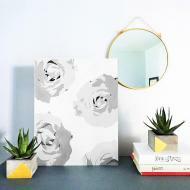 Use it alone or mix with mediums to create original pieces of art at a budget-friendly price. Medium-bodied paint that offers excellent coverage from its light-fast, heavily-pigmented formula. 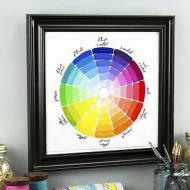 The special formula works well on canvas and dries to a satin finish. The colors are intermixable, allowing for a wide range of options. Versatile mediums for adding to the acrylics to expand the capabilities of the paint line. Add texture, a glossy finish, dimension and more with this variety of mediums and specialty products. Get inspired with our fine art acrylics with project ideas made with Americana Premium. Learn more about the leading acrylic paint on the market — Americana.